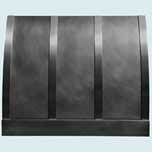 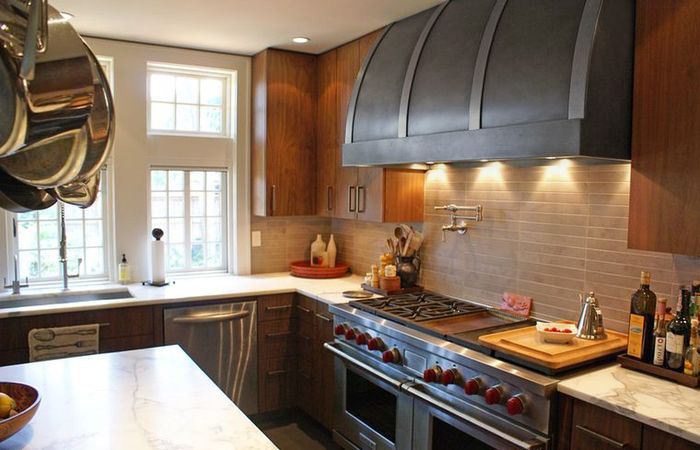 Custom Range Hoods - #4038 | Handcrafted Metal Inc. This Single Roll hood was built tall to elongate the front curve. 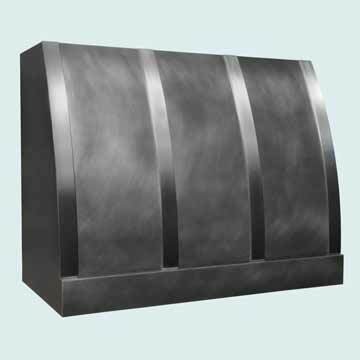 The front of the hood features blind-mount stainless straps, which end at the stepped bottom band. The body is made from smooth zinc and is finished with our Medium antique patina.